One of the world's top behavioural geneticists argues that we need a radical rethink about what makes us who we are The blueprint for our individuality lies in the 1% of DNA that differs between people. Our intellectual capacity, our introversion or extraversion, our vulnerabilit... read full description below. One of the world's top behavioural geneticists argues that we need a radical rethink about what makes us who we are The blueprint for our individuality lies in the 1% of DNA that differs between people. Our intellectual capacity, our introversion or extraversion, our vulnerability to mental illness, even whether we are a morning person - all of these aspects of our personality are profoundly shaped by our inherited DNA differences. 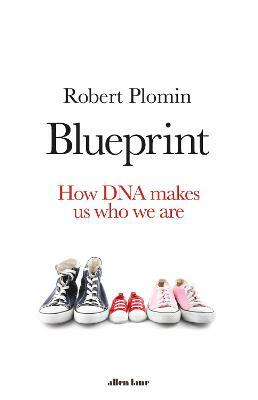 In Blueprint, Robert Plomin, a pioneer in the field of behavioural genetics, draws on a lifetime's worth of research to make the case that DNA is the most important factor shaping who we are. Our families, schools and the environment around us are important, but they are not as influential as our genes. This is why, he argues, teachers and parents should accept children for who they are, rather than trying to mould them in certain directions. Even the environments we choose and the signal events that impact our lives, from divorce to addiction, are influenced by our genetic predispositions. Now, thanks to the DNA revolution, it is becoming possible to predict who we will become, at birth, from our DNA alone. As Plomin shows us, these developments have sweeping implications for how we think about parenting, education, and social mobility. A game-changing book by a leader in the field, Blueprint shows how the DNA present in the single cell with which we all begin our lives can impact our behaviour as adults. Robert Plomin is a leading behavioural geneticist who works at King's College, London. He has published more than 800 papers in scientific journals and is the author of the best-selling textbook in the field. In 2012, he was awarded a highly prestigious five-year Advanced Investigator Award from the European Research Council. He was the youngest president of the international Behaviour Genetics Association, and has been given lifetime achievement awards from that association as well the American Psychological Association and the Society for Research in Child Development, among others.